The Christmas Concert and Carol Service was a great success and we wish to thank all the children for a lovely show. Many thanks to the staff too for the effort they put in too and we acknowledge the great support of parents. We wish to thank the Parents Association for providing tea and buns. Photographs of the children can be seen under the Gallery drop-bar. Bhí comórtas ‘Guth Ghoill’ ar siúl sna Dúnaibh Dé Sathairn seo caite, an 5ú Nollag. Ghlac daichead páiste ón scoil agus bhuaigh ceithre iomaitheoir déag ón scoil corn nó bonn ar an lá. 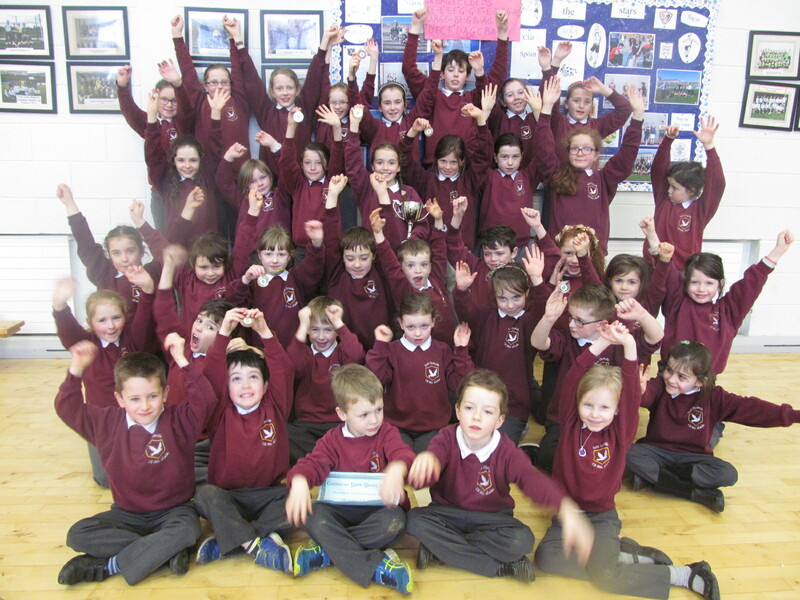 Well done to third and fourth class girls on winning the Donegal Futsal Indoor Soccer Finals recently. 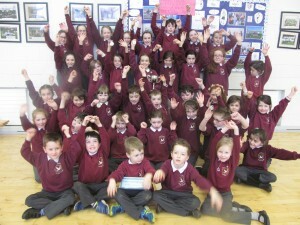 Congratulations too to the Cumann na mBunscol quiz team who won the Donegal School’s Quiz recently. A number of our senior pupils have also qualified for the Ulster Aquathon Finals, due to be held in Derry shortly. We wish them well. Our school was recently awarded a second Active School Flag and we wish to congratulate all on this achievement.